Spider veins are small veins just underneath the surface of the skin which become enlarged and take on a spider web type appearance, often with a red or purple colouration. A similar and related condition, called 'reticular veins', are those veins slightly deeper beneath the surface of the skin which take on a blue or purple colour. Spider veins - known by the medical term 'telangiectasia' - most frequently occur on the calves, thighs and ankles, although they can also appear elsewhere, for example on the face. Although they are mainly a cosmetic issue, spider and reticular veins may indicate an underlying problem with the veins which should be investigated. They often have no symptoms apart from visual appearance although they may be accompanied by some itching or swelling or even formation of ulcers in severe cases. Much as with varicose veins, spider veins and reticular veins result from a weakness in the vein walls and in the effectiveness of valves in the veins that ensure the blood flows in one direction (back to the heart). Affected veins then become engorged and blood pools in them (referred to as 'venous incompetence'). Spider veins and reticular veins are estimated to affect up to 8 in 10 people, with women slightly more affected than men. These last three risk factors are due to an increased abdominal pressure. 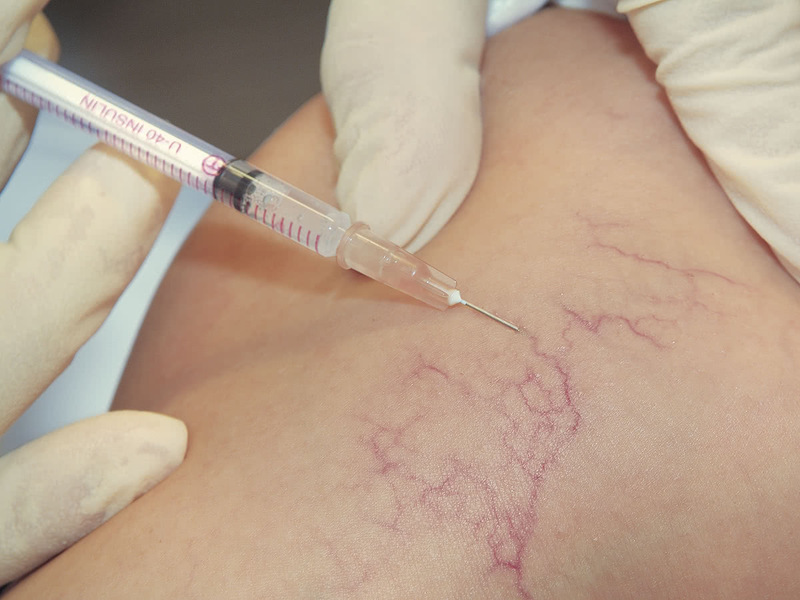 Diagnosis and treatment of spider veins and reticular veins is very similar to that for varicose veins. If larger varicose veins are identified they need to be treated first otherwise the spider veins will rapidly recur. 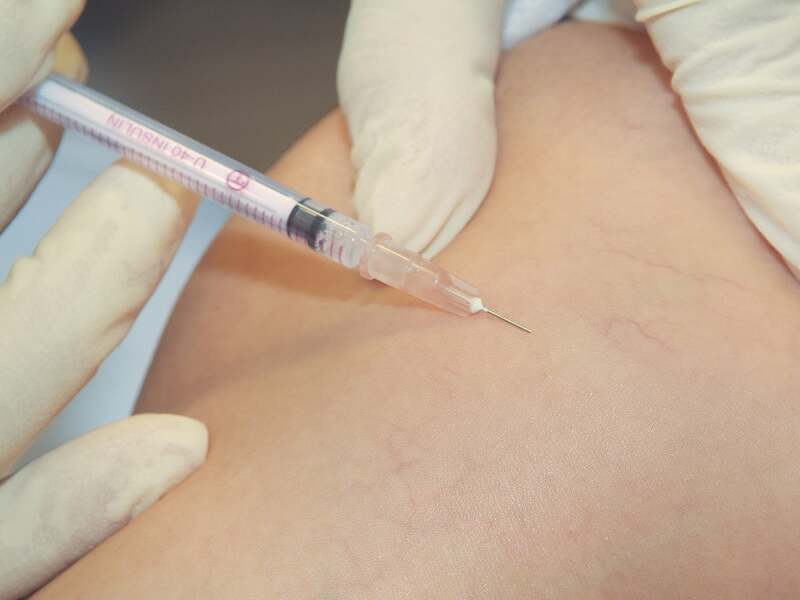 In the vast majority of cases treatment is by a method called microsclerotherapy, which involves the injection of a 'sclerosing agent' which prompts a process called 'fibrosis' where the body naturally removes the spider veins over a period of a few weeks. The procedure is minimally invasive, is performed in Dr Hagley’s office and is normally performed in one short treatment which takes less than 30 minutes. Widespread disease may require multiple treatments and occasionally further treatment may be required in the future. Pre and post microsclerotherapy injection. Photo is indicative only and actual results may vary. © 2017 Copyright Getz Healthcare-IT Pty Ltd. used with permission.